Bicycling is a great exercise. While spin class is often seen as a great way to lose weight and get aerobic exercise, nothing quite beats the experience of bicycling outdoors, in the fresh air. South Florida residents in Homestead are especially lucky to have many beautiful residential streets as well as a mild climate to enjoy. Unfortunately, Florida does not have a great reputation for bicycle safety. In fact, South Florida has for many years been rated one of the top areas of the country for fatal bicycle and pedestrian accidents. 1) Stay visible. You are more likely to be in a car or truck accident in Homestead if cars can’t see you. Unfortunately, many motorists are not looking for bicycles, and this oversight can easily lead to collisions. Make it as easy as possible for cars and trucks to see you. This means wearing light, reflective clothing and using lights and reflective stickers on your bicycle – especially if you’re bicycling at night or poor lighting conditions. Make eye contact with drivers, to ensure that they can see you. 2) Follow the rules of the road. Signal before turning and always drive with traffic. Obey traffic rules, just as you would if you were in a car. While bicycles are far more flexible than cars, keep in mind that motorists cannot see you if you are somewhere where they don’t expect it to be – such as driving off of a sidewalk onto the road or driving through a red light. 3) Choose your routes carefully. Where possible, drive on bicycle lanes or if you would like a relaxing bicycle ride, choose one of the many parks in Florida that have bicycle paths. Avoid areas with high volume, fast traffic and no bicycle lanes, especially if you will be bicycling at night. 4) Take bicycling as seriously as you take driving. Would you drive drunk? Would you drive while texting or driving distracted? Would you drive with headphones on? If you would not do it in a car, don’t do it while on a bicycle. Distracted driving, fatigued driving, and drunk driving in Homestead and other communities cause not only car accidents but bicycle accidents as well. Keep your entire focus on bicycling, especially if you are sharing the road with larger vehicles. 5) Wear a helmet. While a helmet will not help prevent a crash, it can help prevent serious head injuries if you are in Homestead bicycle accident. Wearing a helmet, safety experts agree, is one of the best ways to prevent head trauma and injury. Wear one every time you hop on your bicycle. 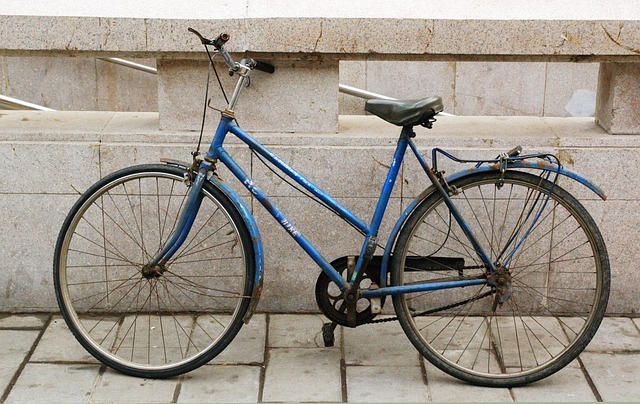 Have you been injured in a bicycle accident through no fault of your own? The attorneys at Flaxman Law Group have more than 60 years of combined legal experience fighting on behalf of plaintiffs just like you. Call the full service law firm today for a free, no obligation case review.